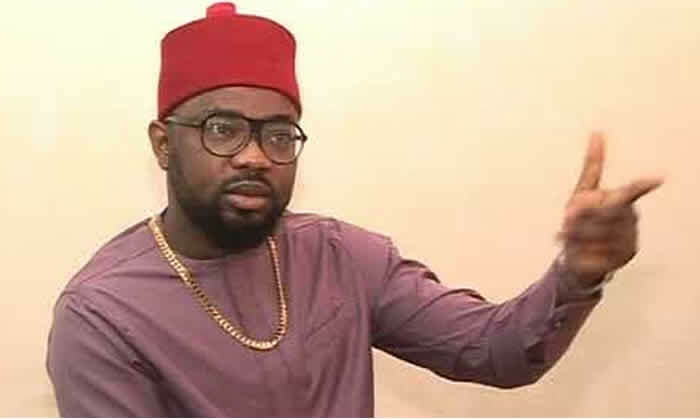 As the 2019 general elections draw closer, the Coalition of United Political Parties has raised alarm over attempted assassination on its Spokesperson, Ikenga Imo Ugochinyere by some gunmen suspected to be assassins. The incident took place on Friday night at about 8 pm, while he was driving home from a strategy meeting of the CUPP. Ugochinyere claimed that a vehicle trailed him shortly after he departed from Wuse II branch of H-Medix where he went to buy some personal needs. “On Friday night as at about 8pm, while driving home from a strategy meeting of the opposition, our 1st National Spokesperson noticed a vehicle trailing him immediately he left Wuse II branch of H-Medix where he went to buy some personal needs. He not being sure and to confirm his suspicion, quickly went down the popular Zone 4 Bridge and the vehicle continued following. He also joined the express to Area 1 having descended the Mabushi Bridge and the vehicle continued to follow. “To make double sure they were not just two vehicles coincidentally heading the same direction, he accelerated being that he was driving a fast moving car only to notice that the vehicle, a dark coloured Hilux pickup van also accelerated. On taking the turn off just before the stadium so that he could join the road to the airport road, he also observed that the van made the same turn. “He also accelerated when he was going round the stadium as the stretch of that road was very dark. The vehicle gave a chase but could not catch up. When he had joined the airport road he drove till he got to a section of the road where the street lights were full and rolled down his tinted side screen and pretended to slow down to see if the vehicle will pass. “However to his greatest shock, as the pickup approached, it tried to swerve and double-cross him. He averted it but noticed that there were at least four persons in the van bearing arms similar to the unique ones carried by officers of the DSS. One of them opened the door and made attempt to jump down but Ikenga swerved quickly and drove off while they gave another chase and were almost by his side with their guns pointed when he joined the service lane and they could not swerve quickly enough to join that lane and he made a quick U-turn and drove against traffic towards the City Centre. “Actually on January 28 2019 during a rally at the Headquarters of the Nigerian Bar Association, to protest against the unlawful removal of Justice Walter Onnoghen as the Chief Justice of Nigeria, some persons disguised as thugs who had come as anti-Onnoghen/pro-government protesters had threatened him that very soon nobody would hear his voice again because acid would be poured into that his mouth with which he criticizes the government. “This attack is a vindication on the position of the opposition that this government is violent, prone to blood-letting and has no limit or red line. Human life is not sacred to them, security of lives and property is not a duty for them, privacy of a citizens home is not out of limits for them.